Reasonable Locksmithing currently employs locksmiths from all walks of life. Some of them were self-taught while others acquired their knowledge through higher education. What they all have in common, however, is a wealth of experience and an unrivalled dedication to the art of locksmithing. Our bonded locksmiths are constantly hard at work developing more durable and reliable locks-with the most advanced security tech on the Peekskill LOCKS & LOCKSMITHS market-at value conscious rates. 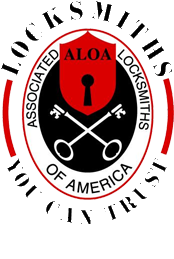 Moreover, all of our locksmithing anti-theft products and services come with an one year guarantee for peace of mind. In addition, we provide 24-hour emergency locksmithing services for all of our Peekskill LOCKS & LOCKSMITHS clients. Furthermore, Reasonable Locksmithing forges locks of all varieties, including deadbolt, sliding door, car, safe, bike, master, high security cylinder, and custom locks. We also install high-end security systems that incorporate biometric and electronic access control as well as keyless entry systems. In addition, Reasonable Locksmithing provides various lock picking, repair, and lock installation services. Furthermore, we provide key repair and cutting services for your Peekskill LOCKS & LOCKSMITHS needs. No order is too big or too small for Reasonable Locksmithing . We have yet to find a lock we couldn’t pick or a client we couldn’t protect. Contact us today to discover the Reasonable Locksmithing difference. 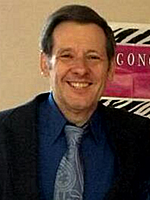 Leland Imm is an experienced locksmith with many years of experience helping clients in the Montrose, Peekskill and Cortlandt Manor area.